This stunning French Country inspired Tudor home has it all! 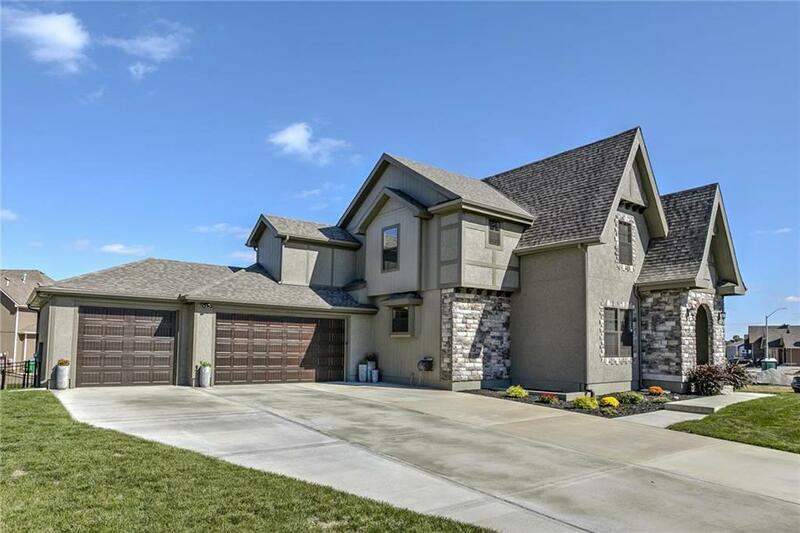 This custom home is presented in unsurpassed condition & loaded w/ upgrades & quality! This elegant layout features 4 BR's, 3.5 Baths, finished lower level with bedroom & large family room, fenced backyard, custom blinds, ring doorbell/camera's and more. Gourmet kitchen feature granite counters, stainless steel appliances,walk in pantry and massive island. Less than 1 YR old...better than new...ready for delivery! Directions: Ward Road to Arborwalk Blvd, at roundabout, take 1st exit to SW Arborway Drive, at next roundabout, take 3rd exit to Wysteria Dr, turn right onto Arbor Way then left onto Arborcrest to home.